Feb. 20, 1997-Nov. 9, 2010 Forever in my heart and always connected by a strand of angel hair! Over thirty years ago, I fell in love with the golden retriever breed. I’ve been a dog lover for as long as I can remember, but I was never able to have a dog as I grew up. I seized the chance after I was married. My only criteria for my first dog was that it had to have natural ears and a tail. I found a picture of a golden retriever in a book and knew instantly that I found my breed! I’ve come a long ways since then! Now I want a golden that can do it all and look good at the same time! My first true competitive dog, Skye (pictured above at 12 ½), took me on the most incredible journey. I learned so much about obedience, field, tracking and agility while training and showing him. It is because of Skye, that I became dedicated to the multi-purpose potential of this wonderful breed. I am currently a Reading Intervention Specialist K-2 and a part owner of Canine Sports LLC. 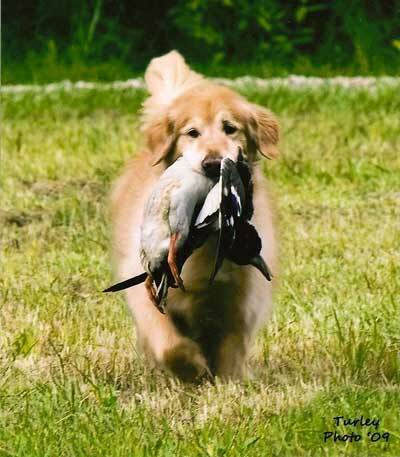 I am an active member of the GRCA, CVGRC, Buckeye Retriever Club, and Cleveland All Breed Training Club.